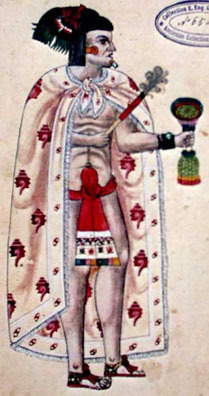 "This is a manuscript with illustrations on European paper in folio, text in the Spanish language and is a fragment of a codex attributed by Leon y Parma to Don Fernando de Alva Ixtlilxochitl who was a "nobleman" of the Confederation of Culhua Mexica ("Aztec Empire") and the outstanding native historian of the early years of the Spanish Conquest. The codex deals with people and events of the pre-Conquest "Aztec Empire", which Ixtlilxochitl remembered. This will, naturally, be indispensible for any complete Latin American Library." Graz 1976. Vol. 9 of the series FONTES RERUM MEXICANARUM. 29 true-color facsimile pages and 21 pages in black and white of Codex Ixtlilxochitl Ms. mex. 65-71 in possession of the Bibliothèque Nationale, Paris. French commentary by Dr. J. de Durand-Forest, Paris, 36 pages, 3 folded plates. Size 24,5 x 34 cm. The facsimile and commentary are bound in cloth.